The wrinkle-faced bat is a species of bat in the family Phyllostomidae. It is found in various countries in and around Central America. 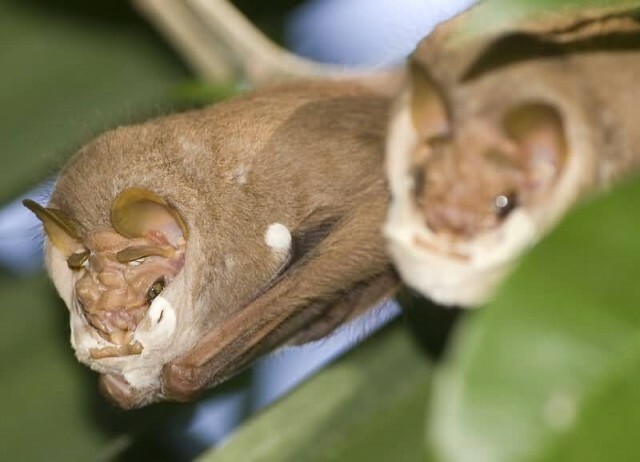 Funny part is that, it eats fruit but is not classified within the fruit bats and it is classified as a leaf-nosed bat but does not have a leaf nose. The wrinkle-faced bat is tail-less and medium sized. Their face is hairless and is covered by convoluted outgrowths of skin. They have storage pouches in their mouths for store fruit. The bats are doesn’t eat anything rather than fruits.